Marathon Bombing Survivor on Tsarnaev Trial: "I Want Him to Know We're There"
Opening statements in the trial against accused Boston Marathon bombing suspect Dzhokhar Tsarnaev will begin Wednesday at 9 a.m. The families of the victims and survivors will re-live the Boston Marathon Bombing and the days after as Dzhokhar Tsarnaev is set to go on trial Wednesday morning. Among the survivors is Karen Brassard. "I want (Tsarnaev) to see us. I want him to know we're there," she said. On the eve of the terror trial for Tsarnaev, one of his alleged victims that day, Brassard, who sustained extreme damage to her legs, is anxious about the day and months to come. "I don't know what I'm going to feel. Right now, I feel like I'm on the verge of tears and I haven't been like that in so long. So it's odd for me to have this emotion come up. But I'm excited that it's getting started, Because I think we all need to be done. But I'm also nervous about it," she said. She and her husband Ron were side by side on April 15, 2013, cheering on friends near the finish line. 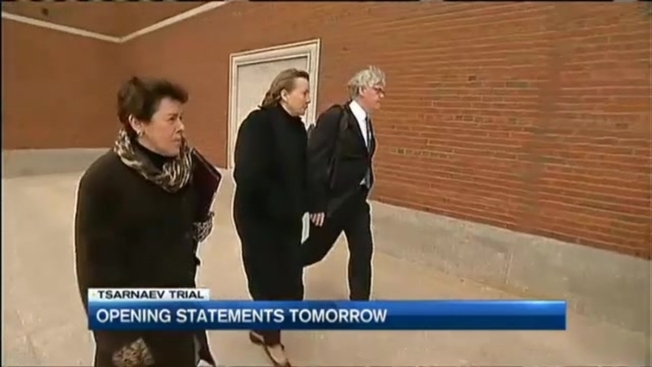 Karen lives in New Hampshire, but intends to be in Boston for as much of the trial as she can. She says the jury selection process was excruciatingly slow, made even longer by the weather, but she is glad repeated attempts by the defense to change the venue were denied. "I believe that people will do what's right based on what's presented, you know, and I know that there's a lot of anger and fear here, but there's a lot of anger and fear everywhere," she added. The trial is expected to last four months and if the jurors convict, will decide between the death penalty or life in prison for the accused. Karen went back and forth on the issue, but now says death instead of life. "I have come to the conclusion that I think it is fair. He is still getting visits from his sisters and he gets to hear about his nieces and nephews or family members growing up or getting old or going through things that the Richards don't get, the Campbells don't get, Lingzi Lu's family doesn't have. That joy in their life anymore, and I don't think it's fair that he should have joy," Bradsard said. She has not been asked to testify, but several of her friends have. Opening statements are at 9 a.m. Wednesday.